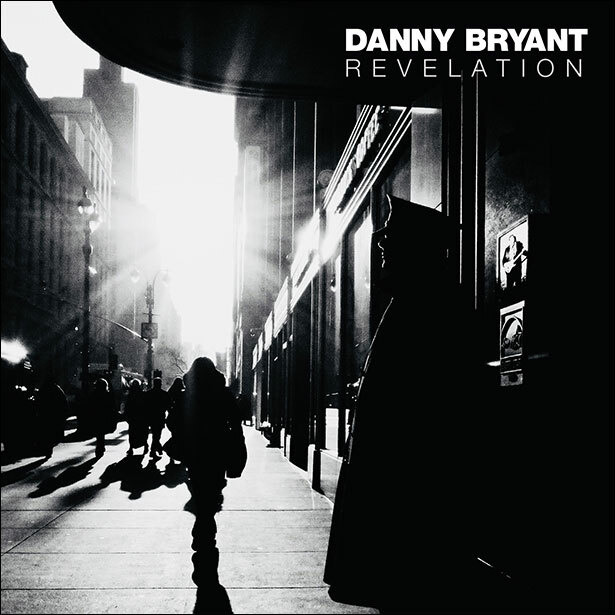 I have been a long time fan of Danny Bryant since his early RedEyeBand releases. He is a consummate guitarist and listening to all of those albums again, his development and maturity have been a revelation. So highly regarded is he by his peers that Danny was honoured (and brave enough) to front Walter Trout’s band while Walter was recovering from all of his well-documented health issues. His last studio album, Blood Money, was simply superb. His profile had grown so much that he was joined by Trout and Bernie Marsden on that recording. His last release was a bit different. A live album with a full horn section and keyboards brought another level to his performances. In light of all of that, I was looking forward to his latest release Revelation. I was expecting another rocking blues album along the lines of Blood Money and, at first, was disappointed. This is a slower paced, moodier and deeper album. The horns and keys add a different dimension to nearly every track. The first, and title song, illustrates this perfectly as, after a piano introduction he screams “Revelation” and it sounds torn from the bottom of his heart. The guitar riff stays subtle as the horns cut in, colouring of the middle section in an unexpected way. The vocal, in addition to his guitar prowess, points to why he was the perfect front for Trout’s band. Towards the end, we get a fluid, laid-back wah, wah solo. Isolate drenched in emotion and features some beautiful guitar, both in the solo and as he underpins the melody of the verse. A slow-paced piece of genius. Liars Testament with the lyric “I believe in a life of resentment”, gives a hint of the darkness occupying a lot of the songs and gives us more guitar soloing and horn backing. This is drenched in the blues in every way and is one of many spine-tingling moments. Next up, is the acoustic Some Day The Rains Will Fall. This is the only let down for me on the entire album. Yes, the atmosphere Danny generates is palpable but it soon becomes a little repetitive. Truth Or Dare lifts the pace up again, supplying a ‘traditional’ full-blooded blues shuffle. Here we get the horns and guitar sounding so natural together and then the bonus of a sultry keyboard solo. A nice call/response section leads to the concluding guitar solo. Shouting At The Moon is a slow, burning blues number, with lovely yet understated keys. The voice is straining at the high notes of the chorus but the solo arrives to make you lean back, close your eyes and listen to every carefully thought out, spacious note. Sister Decline has bass, drums and keys backing the verses before guitar and horns fill out the choruses. Another fluid solo, again proving it isn’t how many notes, more how they’re played and how they fit…they fit! May I have A Talk With You is classic blues. The introduction is very familiar, before the horns, interspersed with illuminating guitar phrases, take the song into a pattern of its own. Yours For A Song wraps up the album. Another slow, classic and crafted blues. The gentle chord picking surrenders to a power chord or three and gives a Bonamassa kind of feel to the structure, but it is still all Danny. A word has to be said for Alex, Dave and Stevie. The bass is so carefully pitched and played (particularly as it warms the backing of Isolate) and the drums are solid and so supportive of the music. The keys are never intrusive; always providing the right fills, solos and backing. Revelation is a very, very good blues album by any and every definition. Danny’s voice occasionally doesn’t quite match the song behind it, but that is totally forgivable as the music takes you on a journey of light and shade, and it is a journey really worth making. As I hinted at the beginning, do not be tempted to form an opinion on the first listen. This cultured album needs to be absorbed to be appreciated. Give it the time and the rewards are simply stunning.